When will be Full Metal Panic Fumoffu next episode air date? Is Full Metal Panic Fumoffu renewed or cancelled? Where to countdown Full Metal Panic Fumoffu air dates? Is Full Metal Panic Fumoffu worth watching? Sousuke Sagara, Kaname Chidori and their friends are back after the events of the original Full Metal Panic series. Follow Sousuke Sagara as he tries to cope with life as a high school student all the while trying to keep Kaname Chidori out of harms way. Suffice to say, highly trained soldier but oh so clueless Sousuke manages to get himself.. and everyone else around him in trouble - with hilarious consequences! 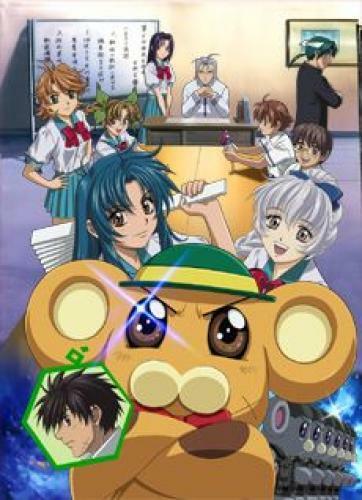 EpisoDate.com is your TV show guide to Countdown Full Metal Panic Fumoffu Episode Air Dates and to stay in touch with Full Metal Panic Fumoffu next episode Air Date and your others favorite TV Shows. Add the shows you like to a "Watchlist" and let the site take it from there.